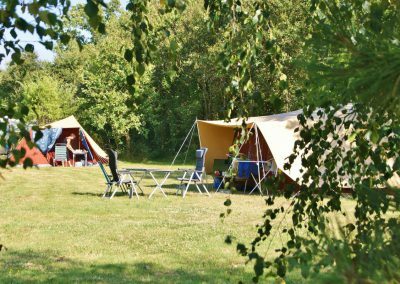 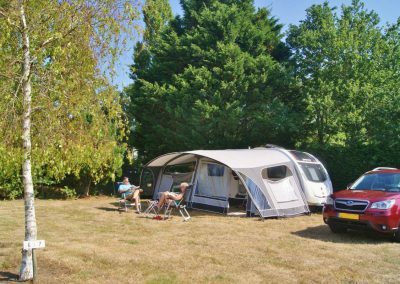 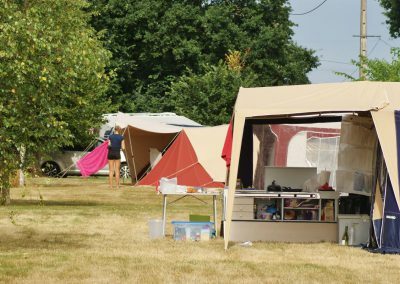 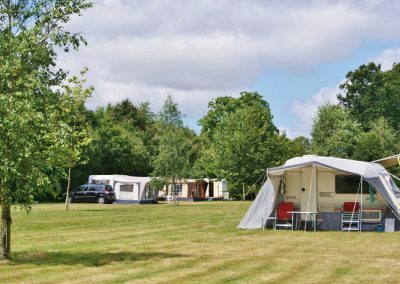 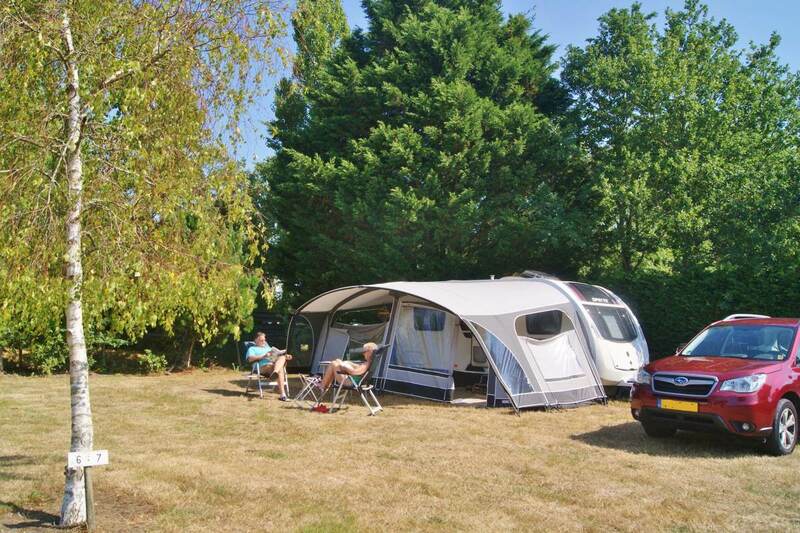 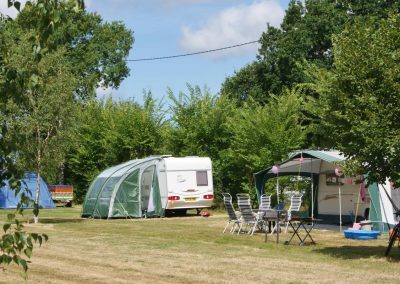 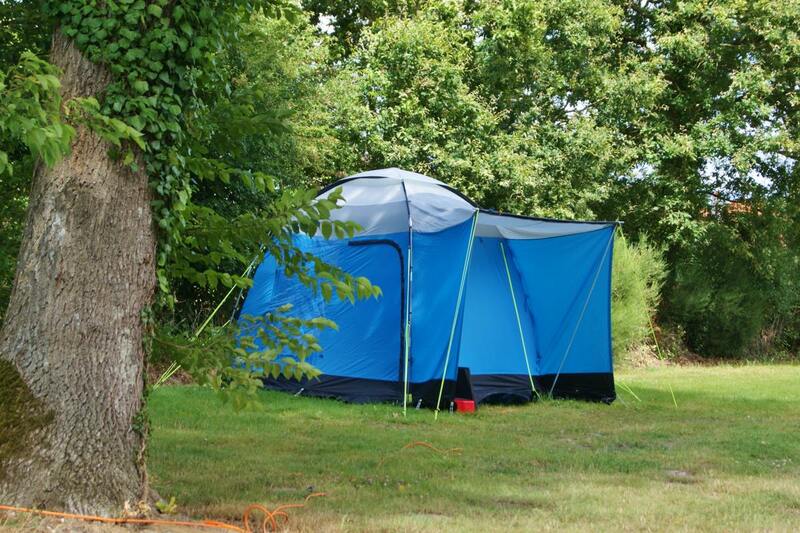 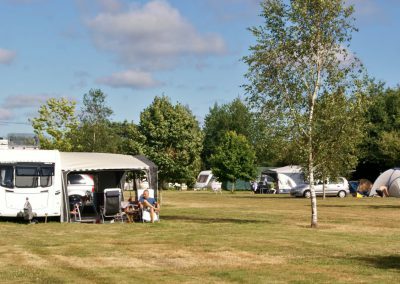 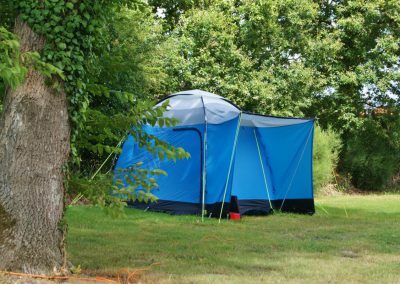 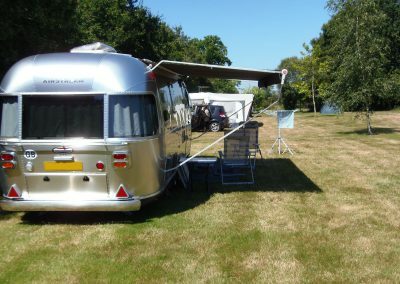 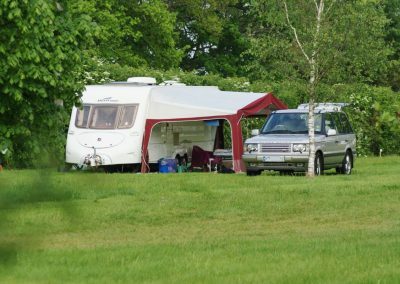 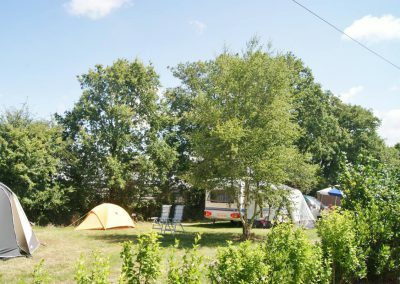 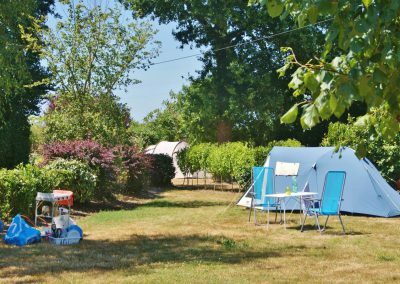 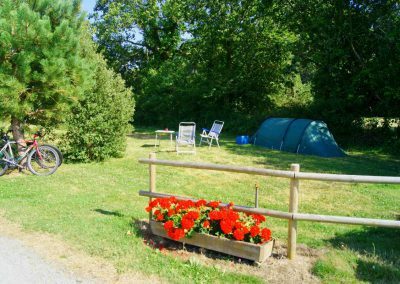 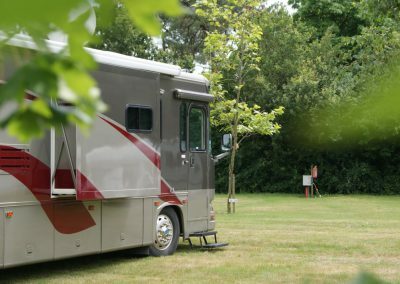 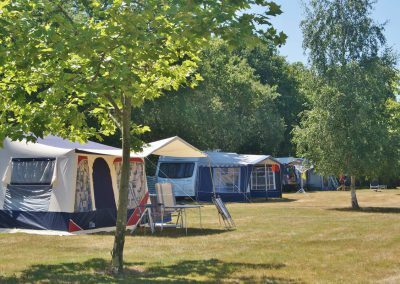 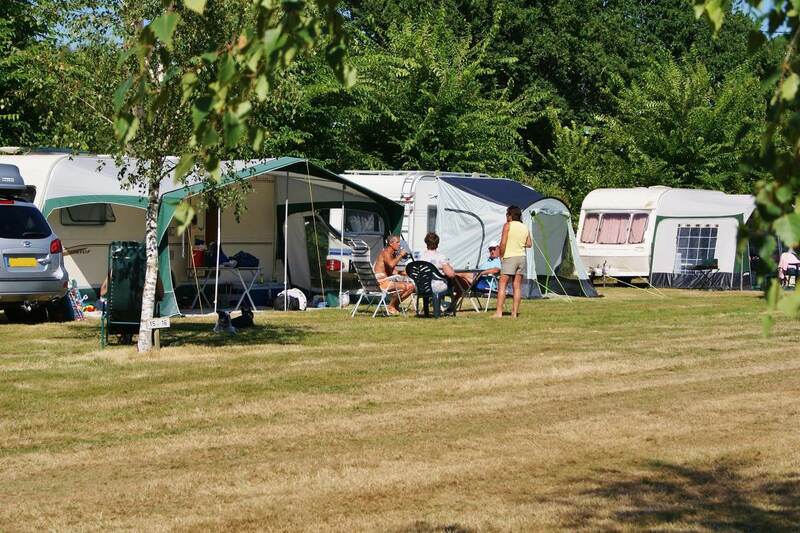 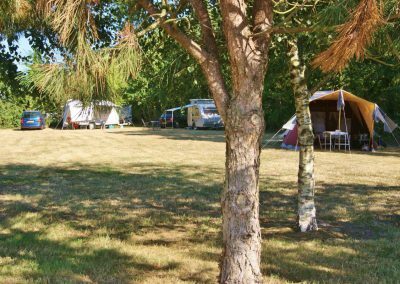 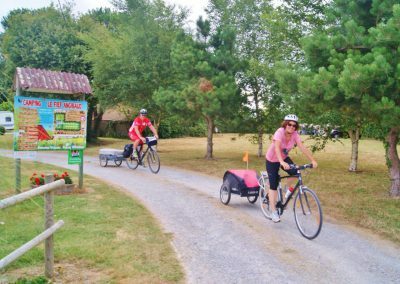 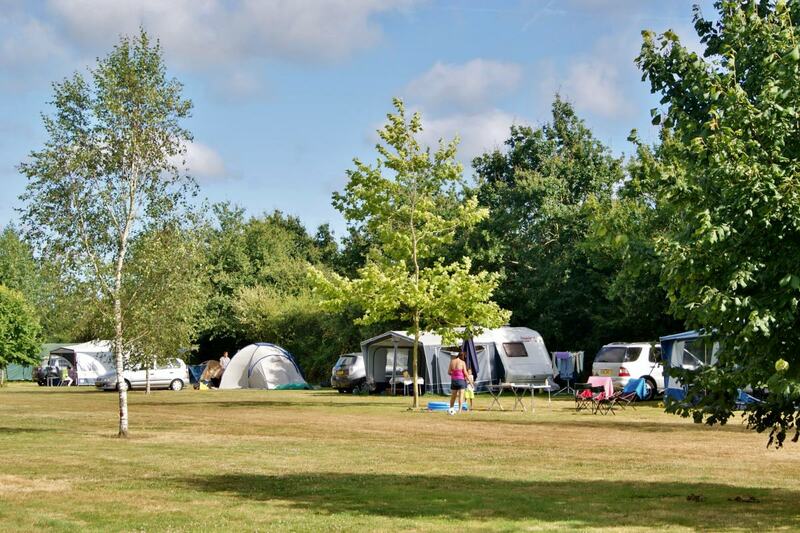 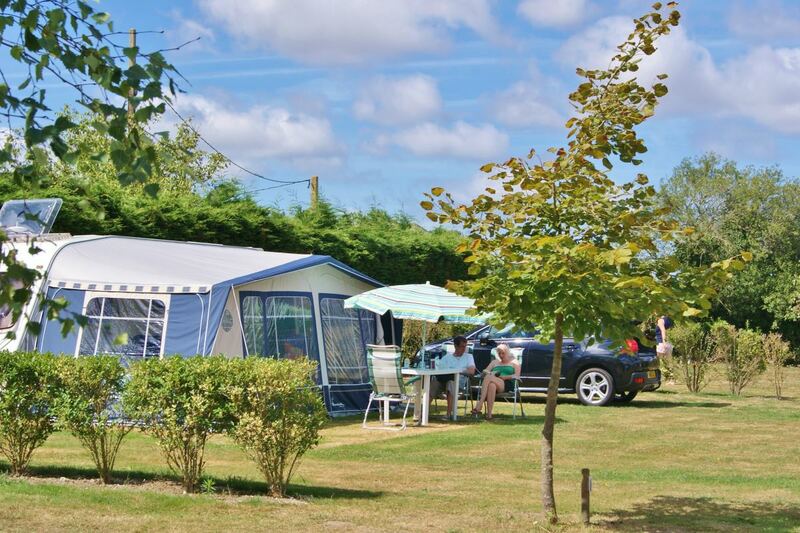 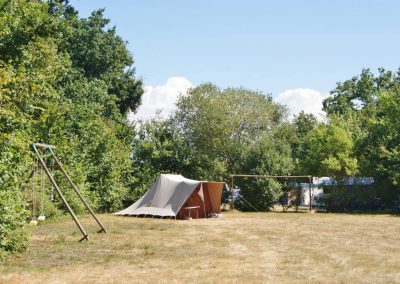 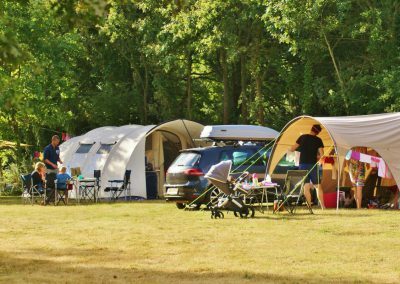 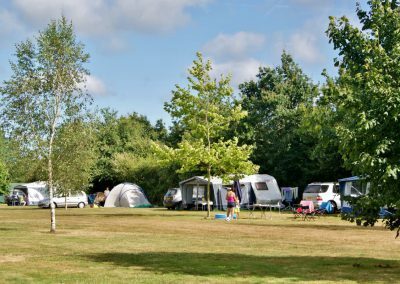 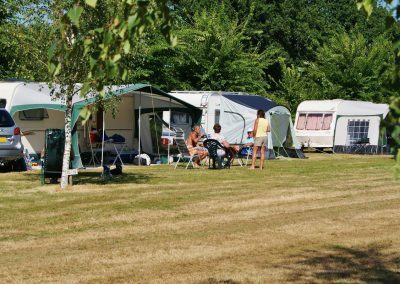 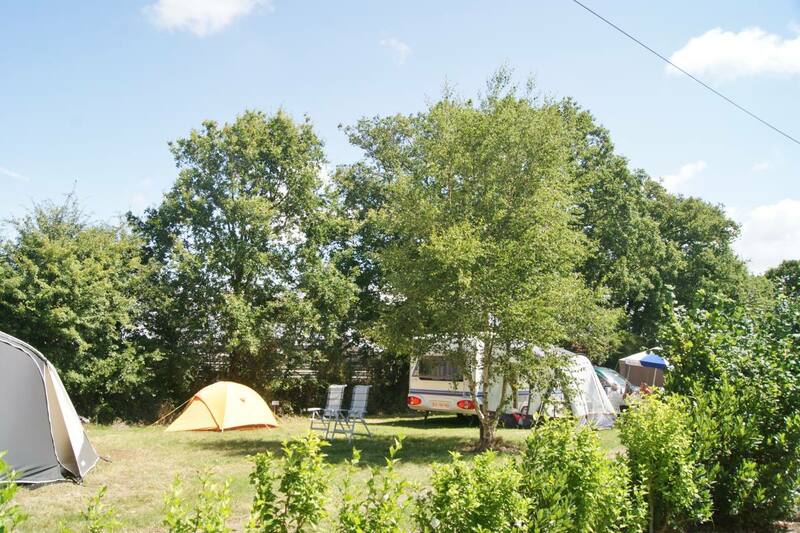 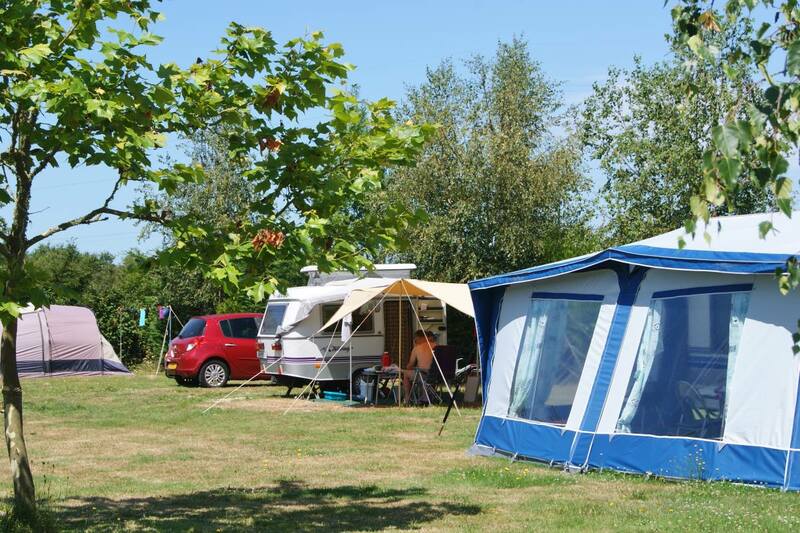 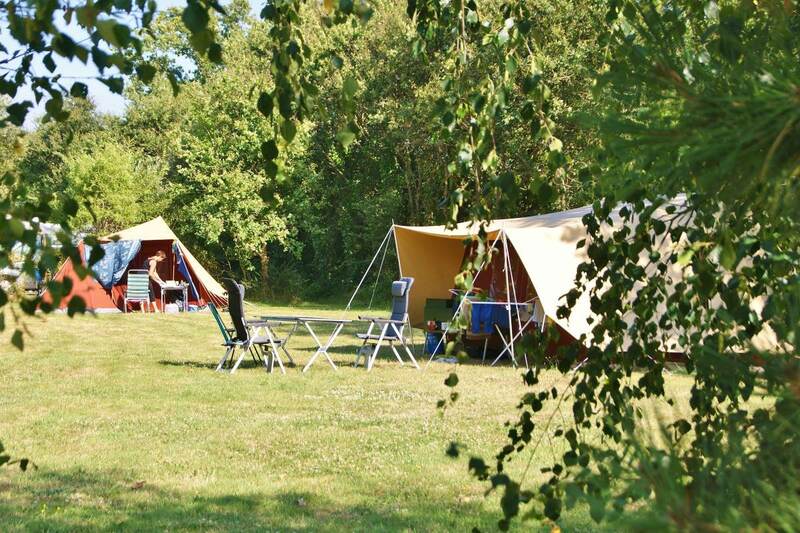 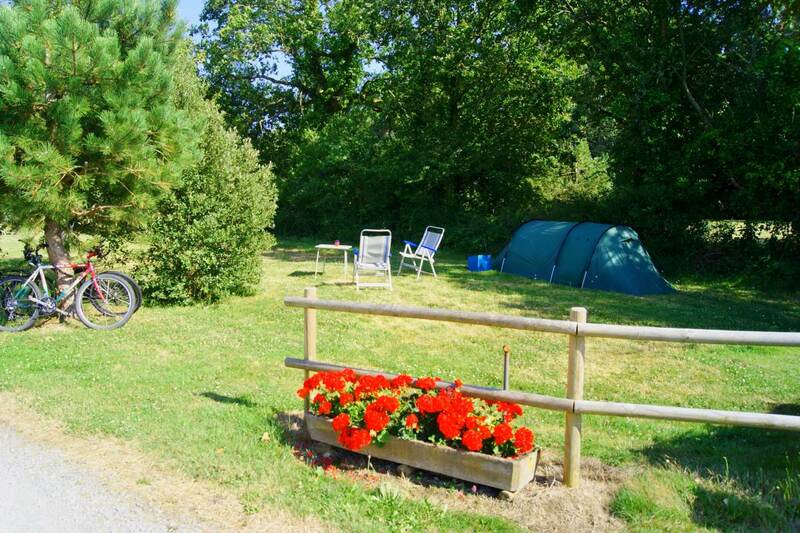 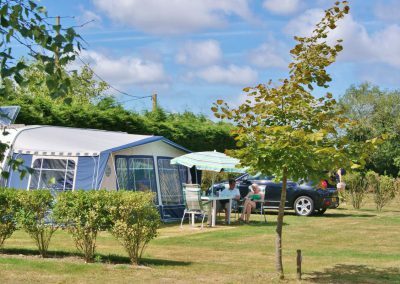 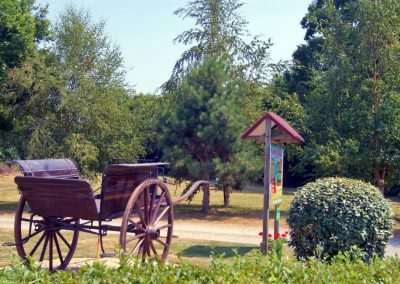 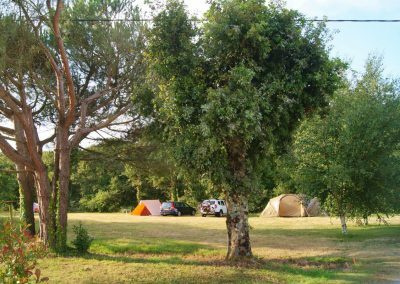 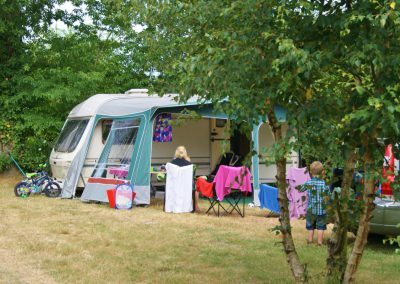 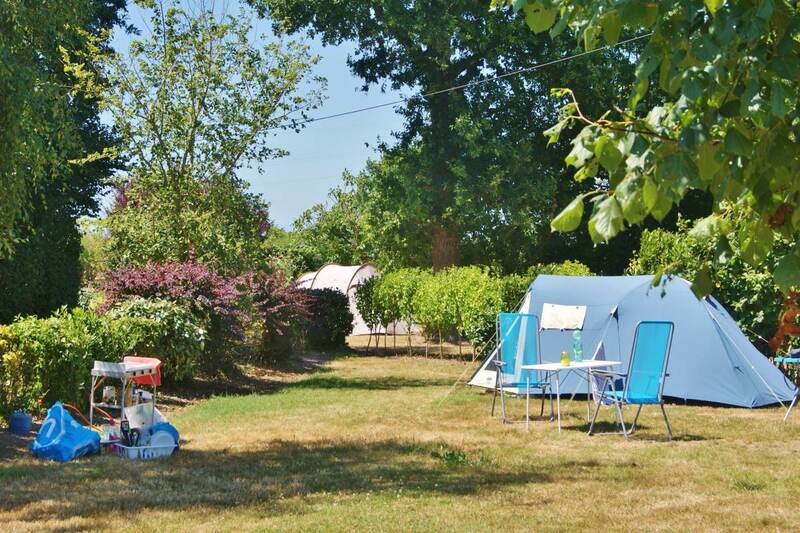 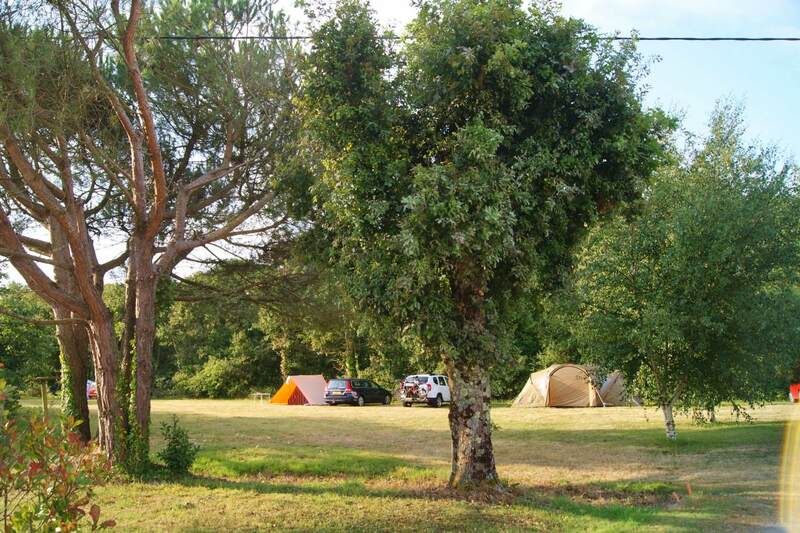 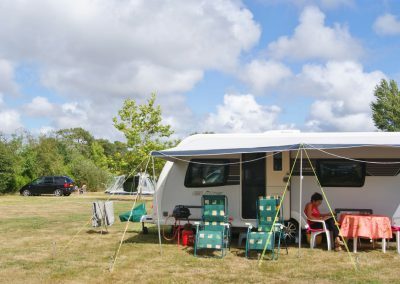 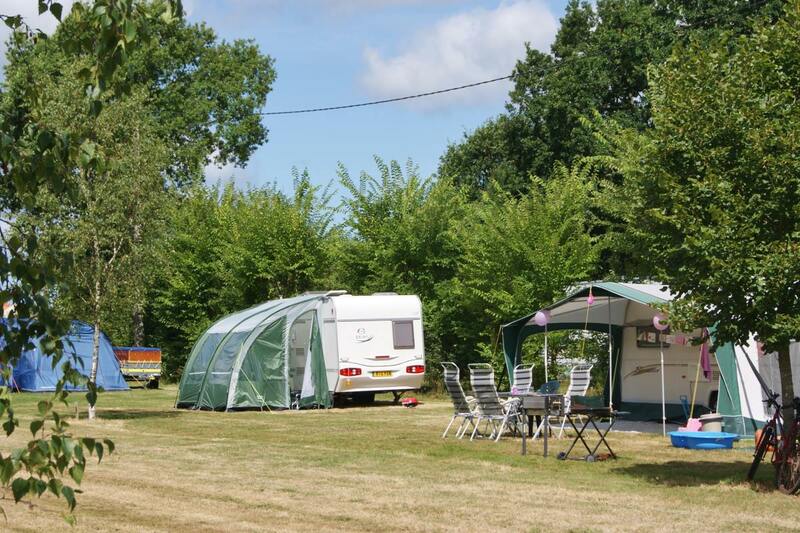 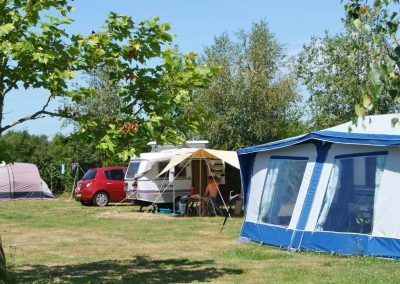 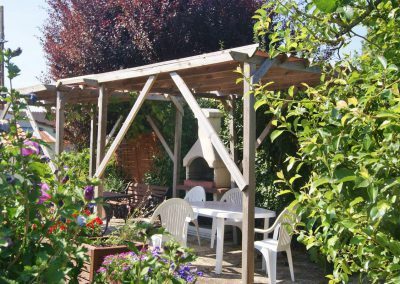 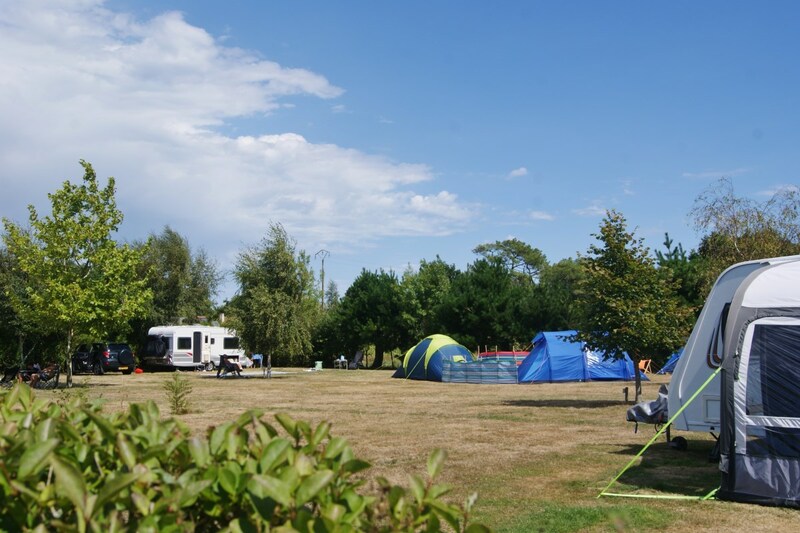 Surrounded by beautiful countryside with a diverse array of wildlife the campsite is set in 1.6ha of land. 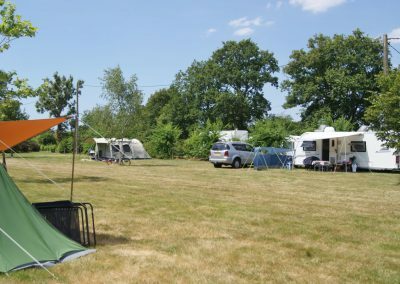 It is divided into two separate fields and consists of 25 very large flat pitches all supplied with 6 amp electricity and some having their own water supply. 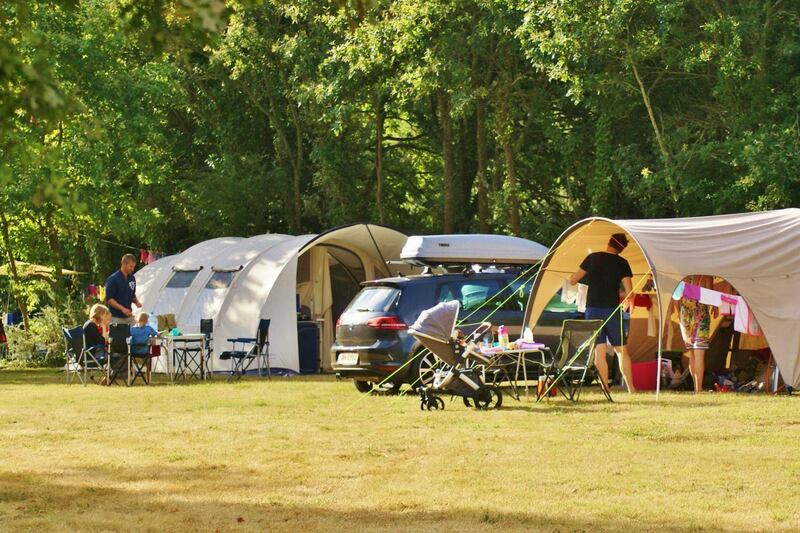 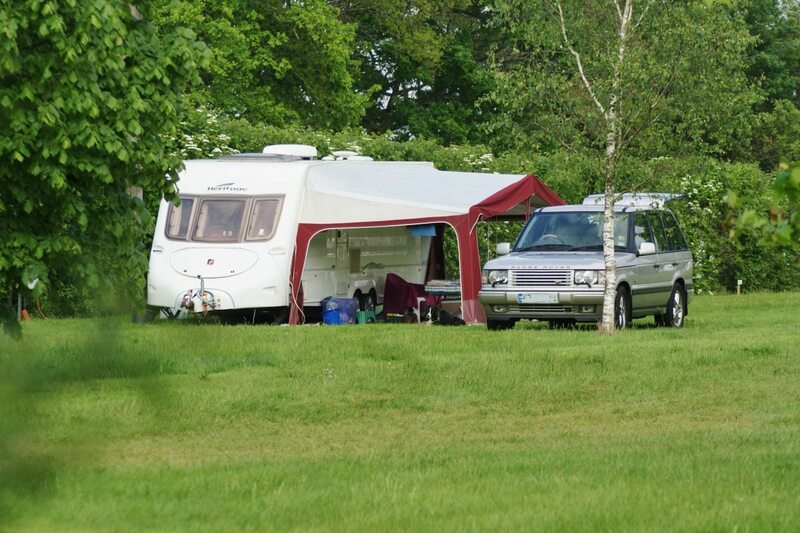 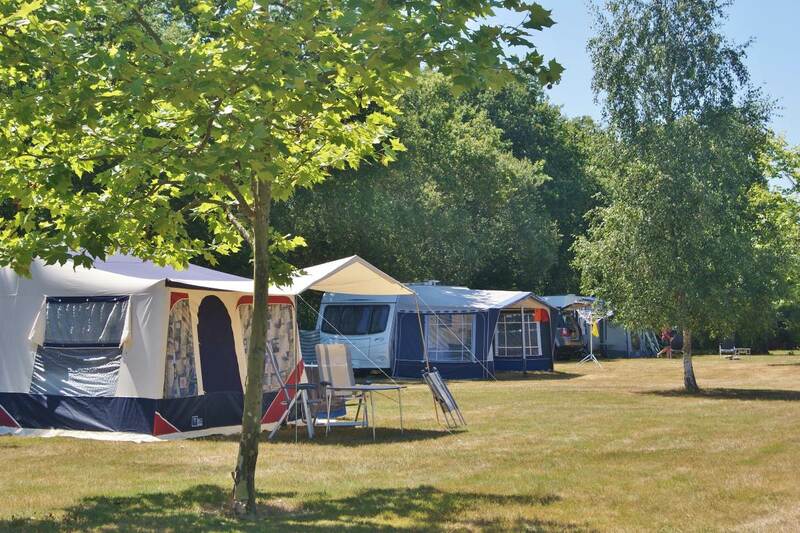 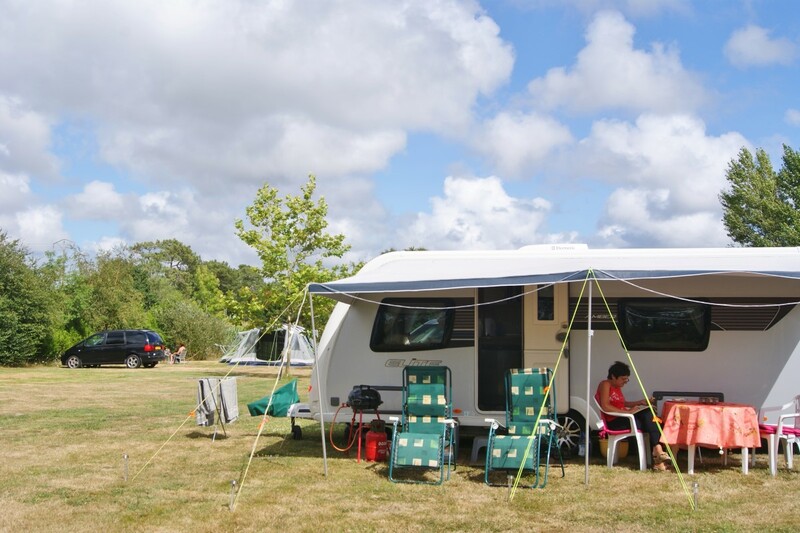 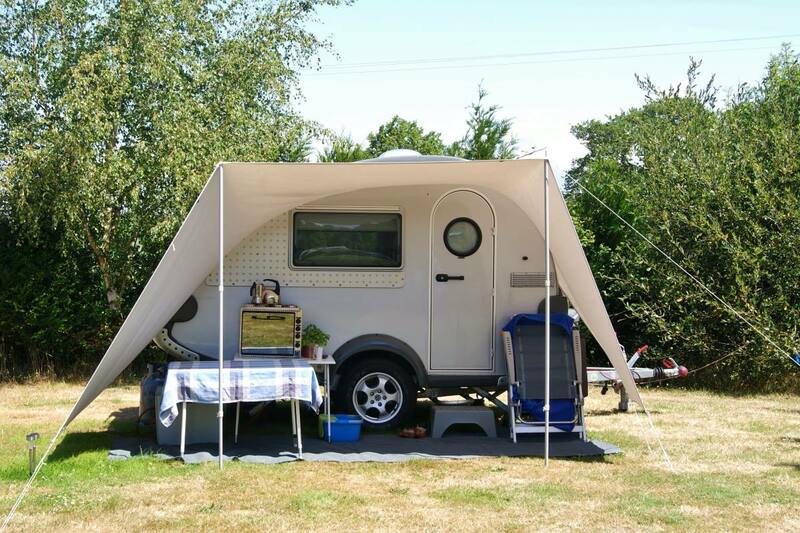 Tents, caravans, including twin axels, motor homes and rallies are all welcome to our site. 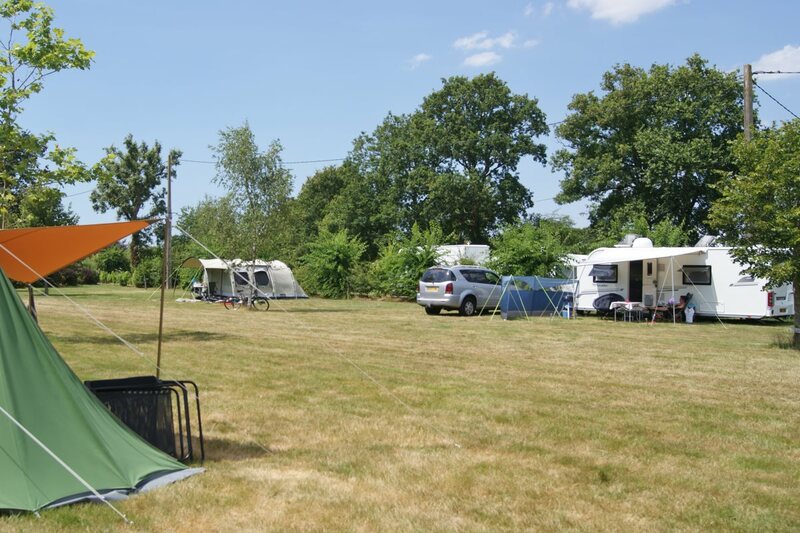 If you are thinking of holding a rally then this is the ideal venue where a dedicated field would be available for your gathering. 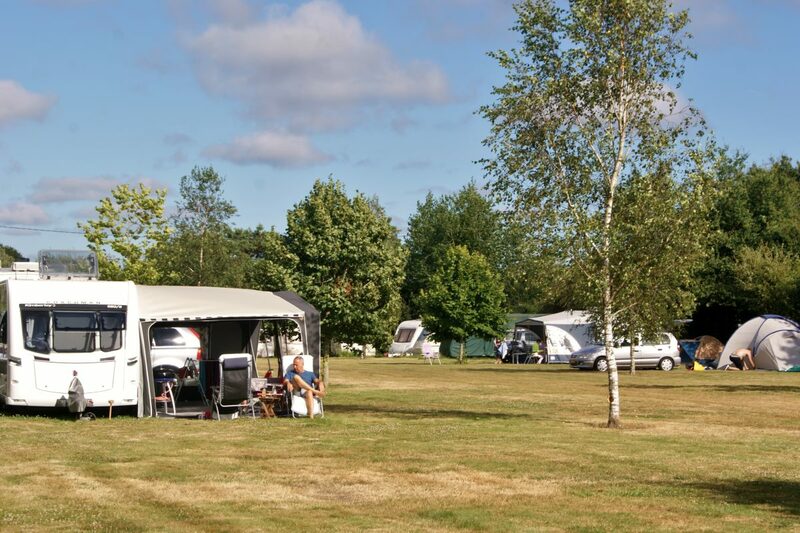 We have a spacious clean sanitary block offering disabled facilities with free hot water and showers, an indoor washing up area, hand washing laundry facility, washing machine, iron and ironing board, fridge and freezer for food storage and ice packs. 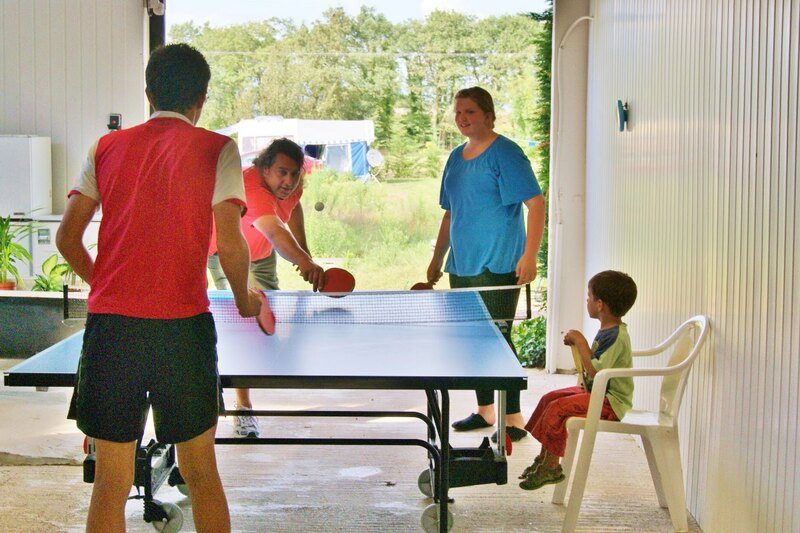 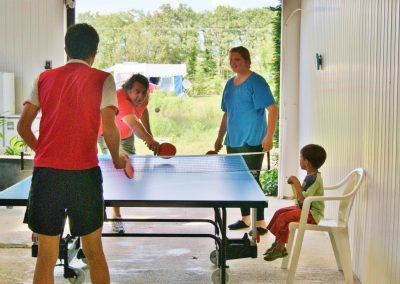 There is also the free use of a table tennis table and library to exchange/borrow novels during your stay. 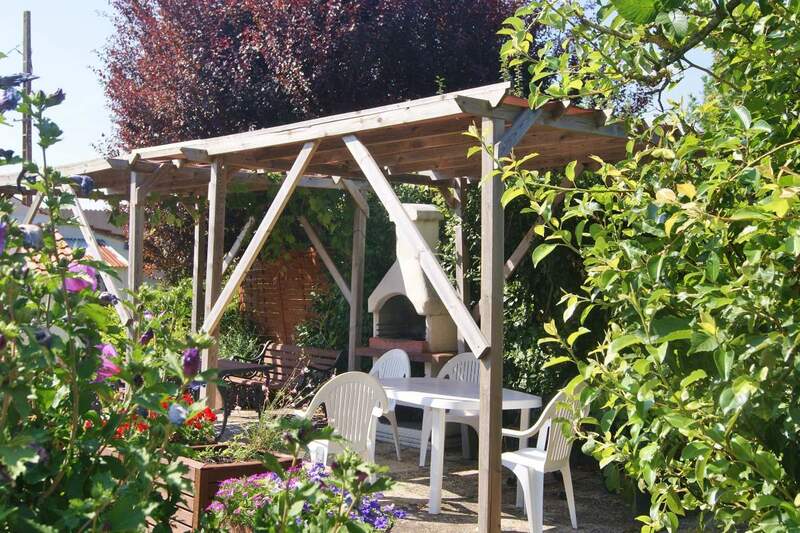 A communal barbeque and table area is on the site for use by all our customers as well as individual fridge hire. 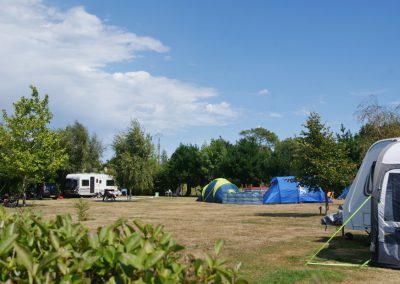 A large play area is available including boules pitch and children’s swing. 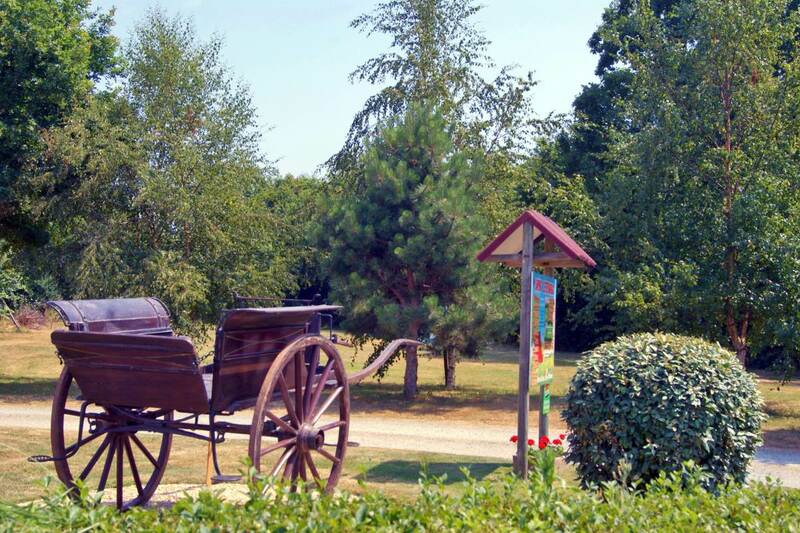 A small bakery, tabac, chemist, butcher, post office, bar and two restaurants are conveniently located in the nearby village. 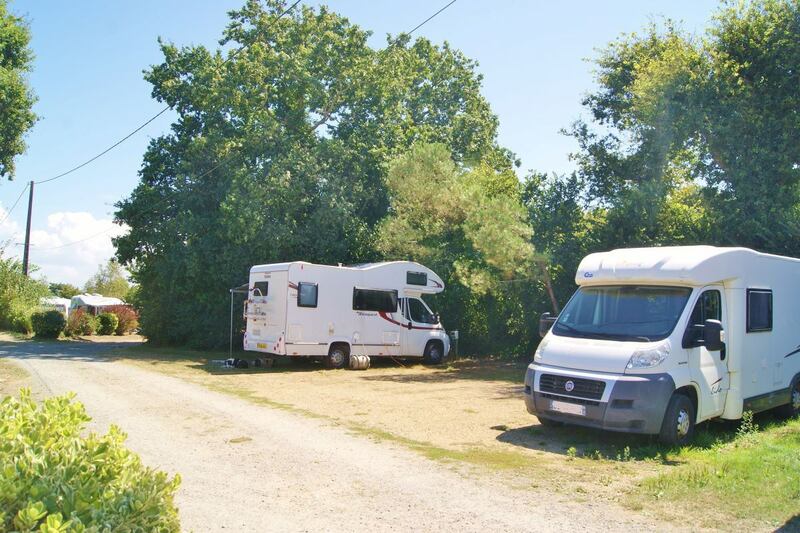 Large supermarkets, a launderette and several restaurants are nearby. 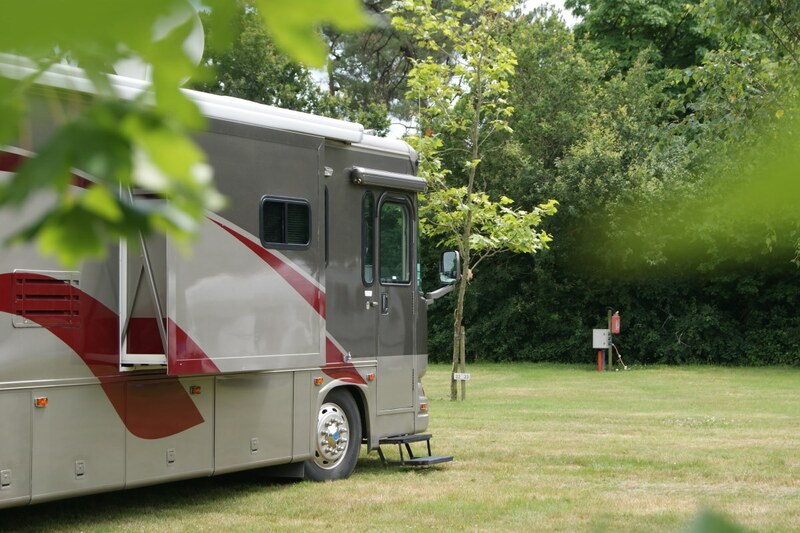 It’s with great pleasure that we welcome motorhomes for overnight stop overs. We have a hardstanding providing 3 parking spaces which are lightly shaded and several more on grass all within a peaceful green setting. 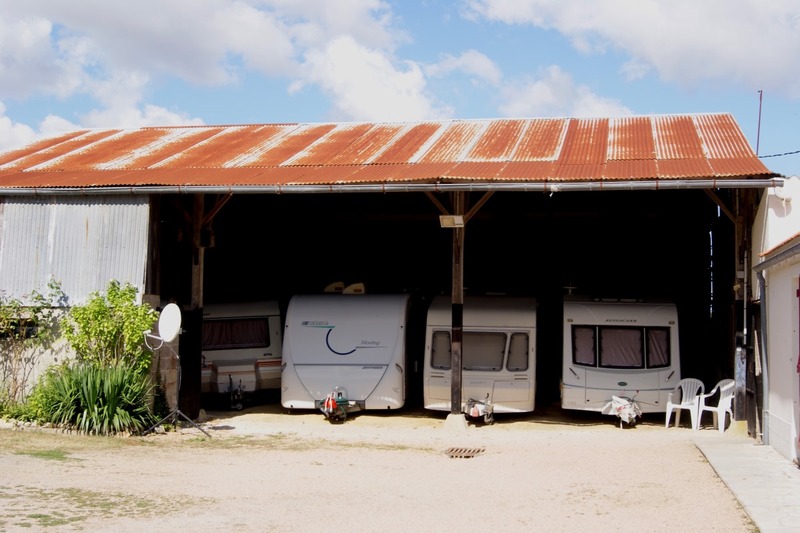 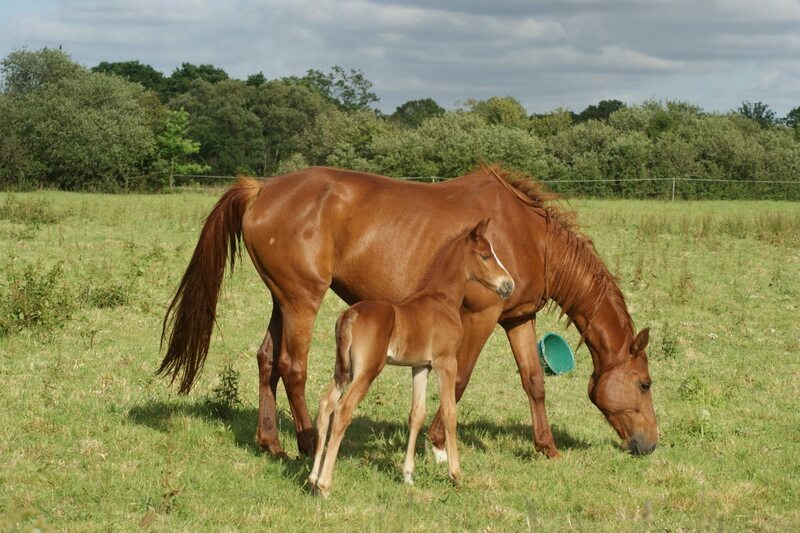 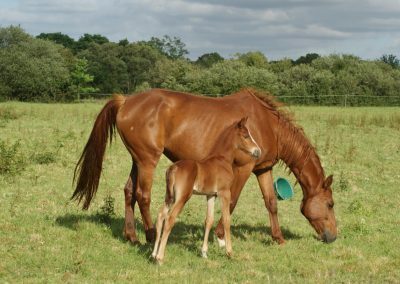 We offer undercover storage in a small barn so numbers are limited and also outside storage. 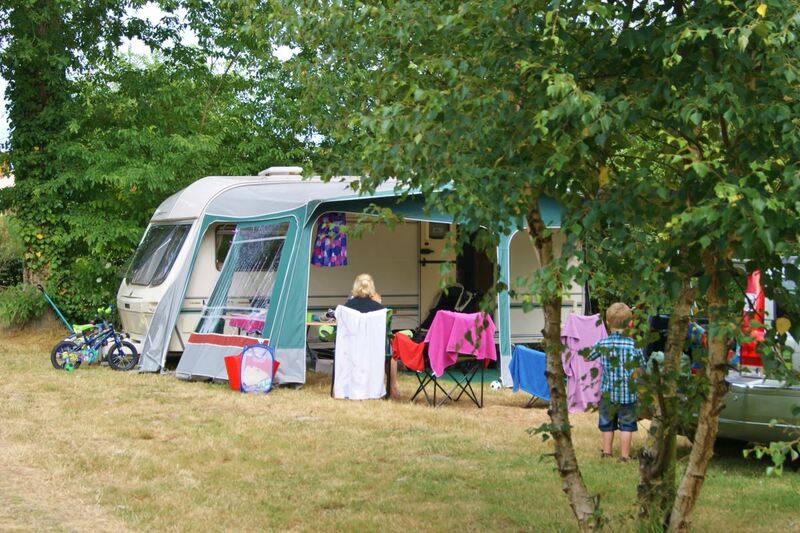 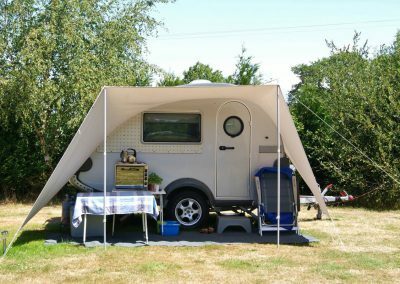 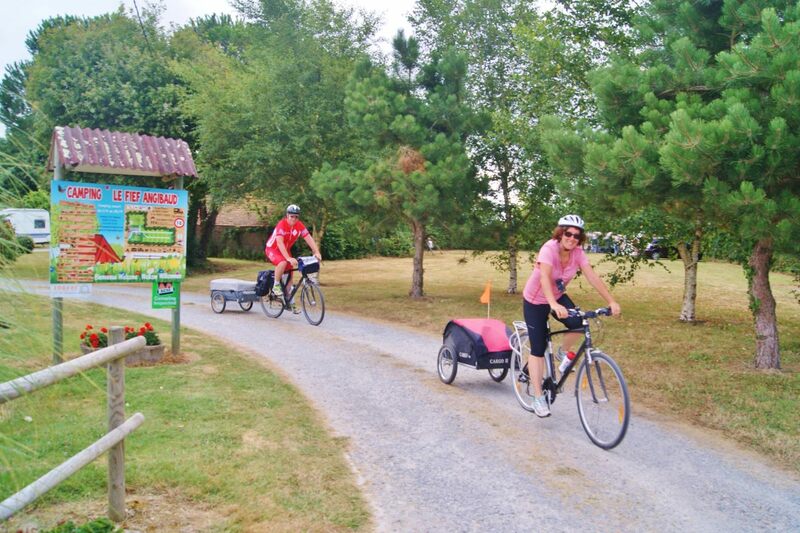 To save on time, stress, cross channel expenses, fuel and even wear and tear on your caravan you can leave your caravan here and use the site or take your caravan to tour France at your leisure. 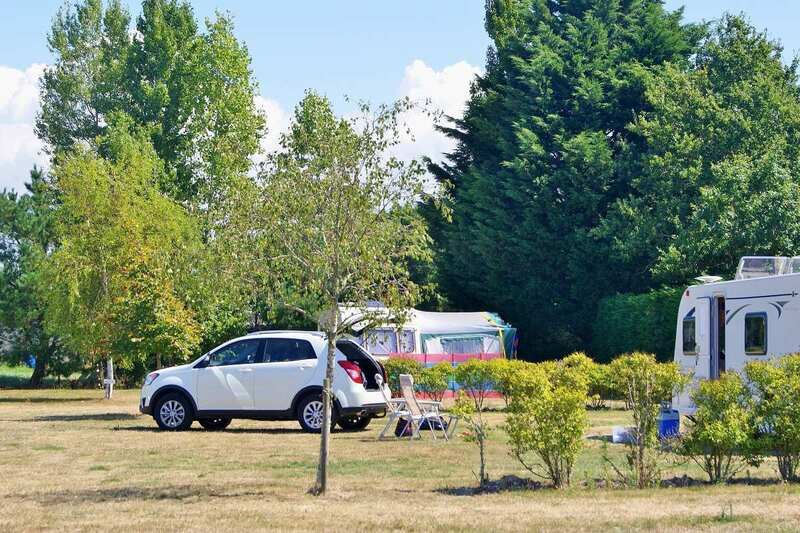 Should you choose to stay on the site the caravan will be set up ready, leveled and connected to the electric with the fridge turned on prior to your arrival. 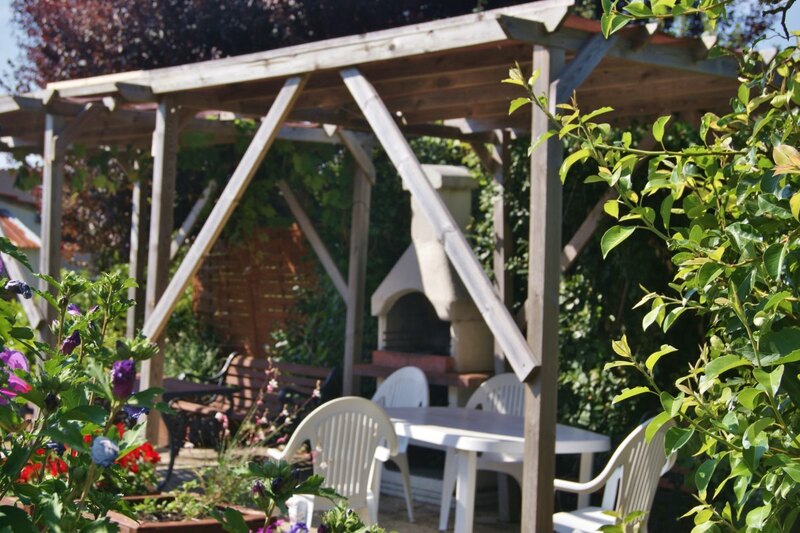 We also provide an exterior cleaning service for a small charge.